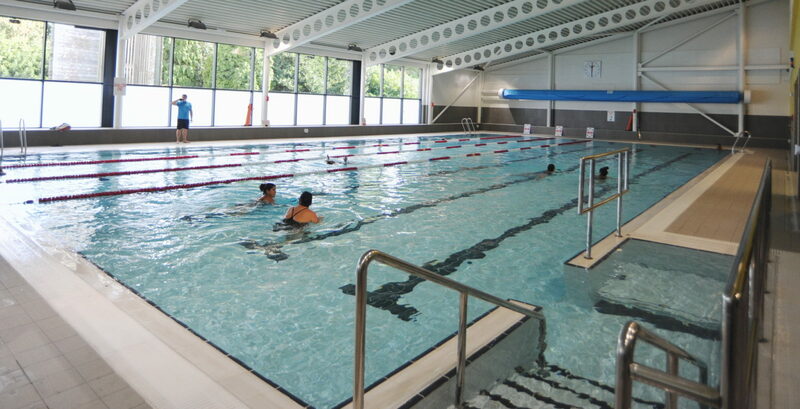 A pumping station was required at a public swimming pool to handle a large volume of water during scheduled wash-cycles, along with standard daily foul water. The design of the system was to conform to architects’ plans and design engineer’s comments which were revised several times during the pre-installation phase. • A polyethylene horizontal tank with a narrow diameter and longer length was chosen which required a simpler, shallow excavation. This reduced costs and saved time. Polyethylene tanks can be built to any length and, should the length exceed traditional transport capabilities, sections of the tank can be bonded onsite. • Twin discharges were installed to ensure no increased friction loss when the second pump switched on.The system was completed with a comprehensive real-time monitoring package that would alert the staffed offices in the event of a high level condition, pump failure or loss of power. • Once commissioned a hand over service was provided to the new buildings plant manager covering all aspects of operation. The heavy duty pumps specified are rated for continuous running due to high levels of expected use. With scheduled inspection and servicing, the pumping station will provide a long and reliable service. Heavy duty continuous rated pumps must perform reliably for duty cycles of up to 24 hours per day. Used for applications where pump failure would be costly and damaging, their essential qualities are robustness and reliability. Load is also a key factor when specifying these pumps, larger pumps running slower will have a longer maintenance interval than smaller ones running at full speed.